Some half million Chinese immigrants settled in the American West in the nineteenth century. In spite of their vital contributions to the economy in gold mining, railroad construction, the founding of small businesses, and land reclamation, the Chinese were targets of systematic political discrimination and widespread violence. 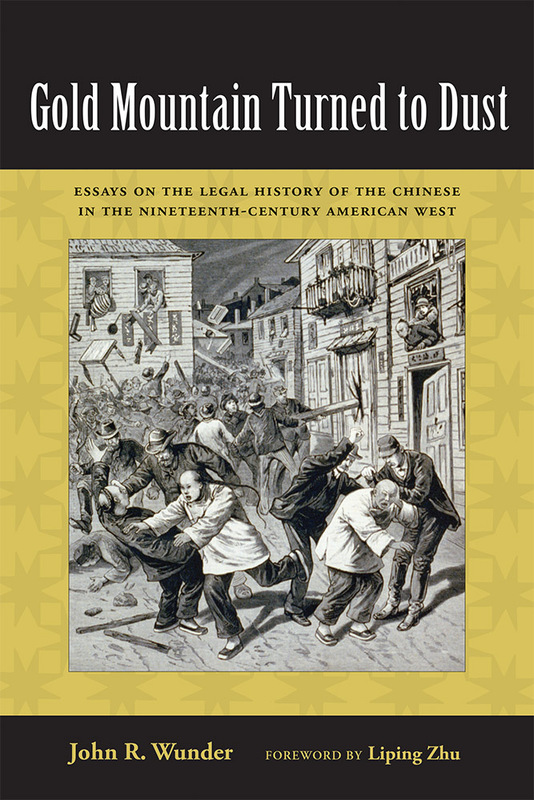 This legal history of the Chinese experience in the American West, based on the author’s lifetime of research in legal sources all over the West—from California to Montana to New Mexico—serves as a basic account of the legal treatment of Chinese immigrants in the West. The first two essays deal with anti-Chinese racial violence and judicial discrimination. The remainder of the book examines legal precedents and judicial doctrines derived from Chinese cases in specific western states. The Chinese, Wunder shows, used the American legal system to protect their rights and test a variety of legal doctrines, making vital contributions to the legal history of the American West. John R. Wunder is a professor emeritus of history at the University of Nebraska–Lincoln. A widely published author and editor, his recent works include Reconfigurations of Native North America: An Anthology of New Perspectives and Americans View Their Dust Bowl Experience. He lives in Lincoln, Nebraska. Chapter Six. The Chinese and the Courts in the Pacific Northwest: Justice Denied?